Paula Wynne's third book in the Torcal Trilogy is now on sale for pre-order in January 2019. However, as soon as the final editing has been completed, Paula aims to bring this date forward to just before Christmas. In the meantime, you can order your copy of The Luna Legacy on Amazon. In 1492, masquerading as Cristóbal Colon’s trusted envoy, Ana-María de Carbonela is in a dangerous predicament. Living as a man and pregnant with Christopher Columbus’s child, she is given a secret mission by Queen Isabella to find and protect an ancient secret. But Ana-Maria is not alone in searching for this secret. Will she be able to stand up to the might of the leaders of Aragón and their powerful hidden agents? Or will this ancient secret fall into dangerous hands? In the present day, Nina Monterossa races across Europe to help Skye Coventina find out the truth about her father’s strange death, linked to the mysterious birthmark Nina and Skye’s father share. After discovering she is the last Luna, Nina is hunted from rural Spain to Cork and across Egypt by a man who will do anything to get his hands on an ancient and powerful Luna relic. 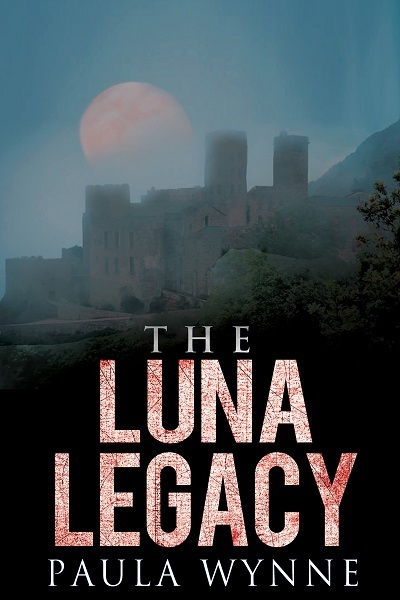 Can she save the world’s heritage - The Luna Legacy? Each book in The Torcal Trilogy is a stand alone story. However, if you want to enjoy the full story and the 'bigger picture' you may want to check out the first two books.